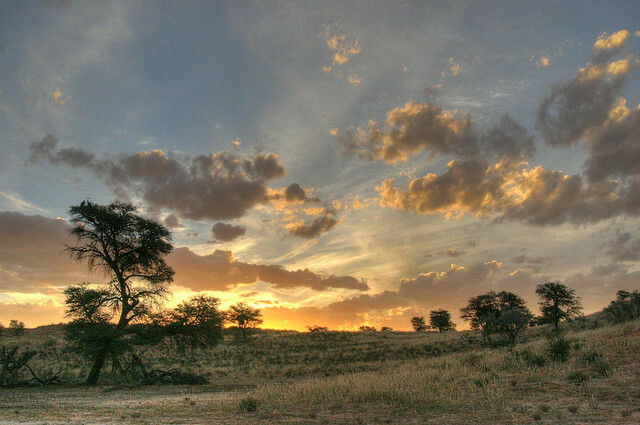 Because the Kalahari Desert is not technically a desert, there are almost 500 species of vegetation that thrive during the rainy season. 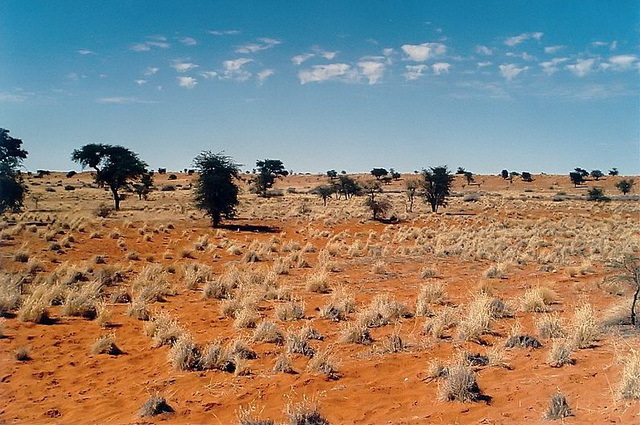 Because the soil and sand of the Kalahari retains water better than normal desert sand, the plant life is thriving in some parts. 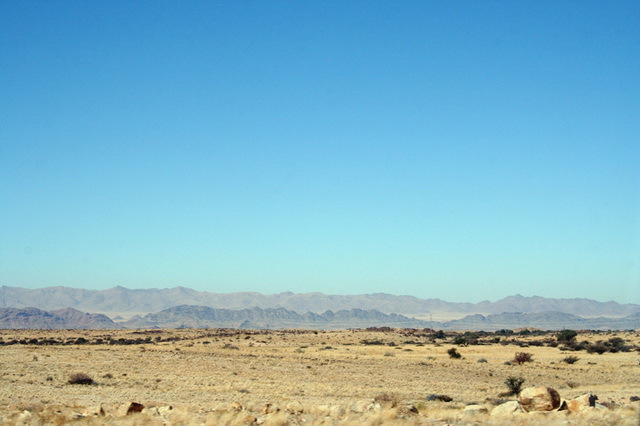 The northern part of the desert is characterized by more dense vegetation while the southern part of the desert is more arid in nature. In order to survive, the plants here grow a deep root to be able to reach waters in depth and to offer them stability in the harsh environment. 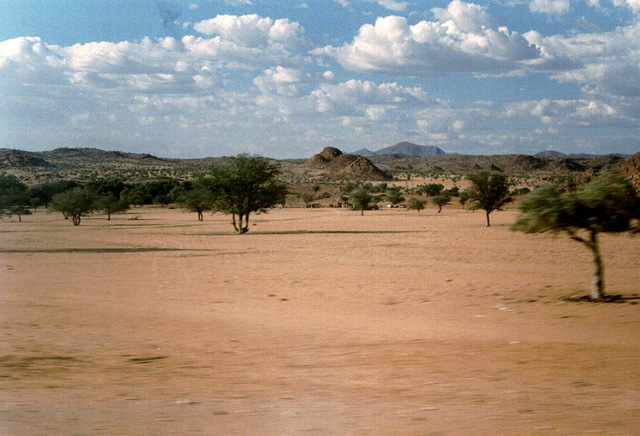 The bulk of the vegetation consists of grasses and shrubs. 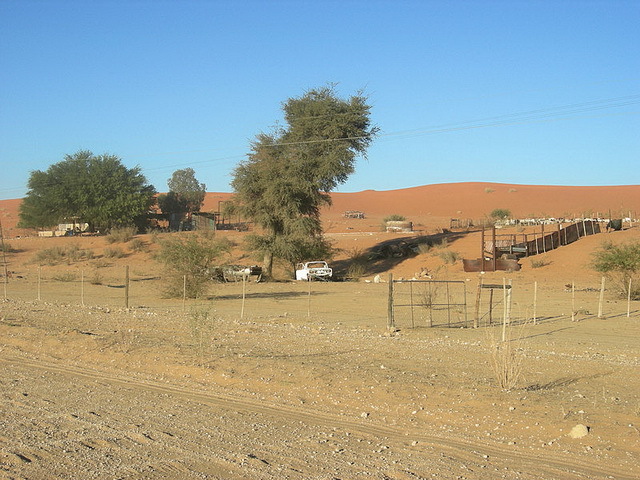 In regards to trees, the most prevalent ones are acacia trees like the camelthorn tree. 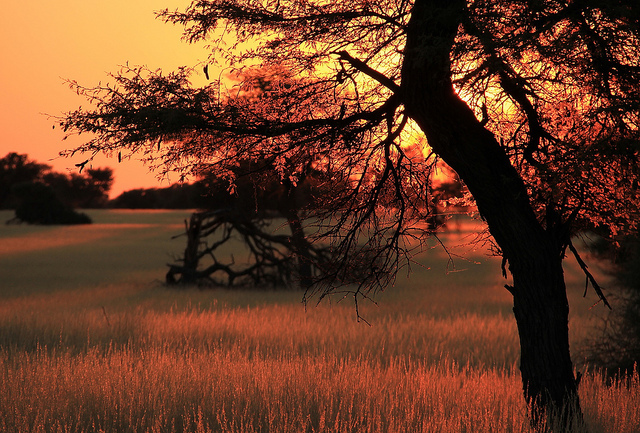 This tree grows almost exclusively in the Kalahari Desert and it is a symbol of the desert. Some cactus species like the Hoodia cactus is also present. 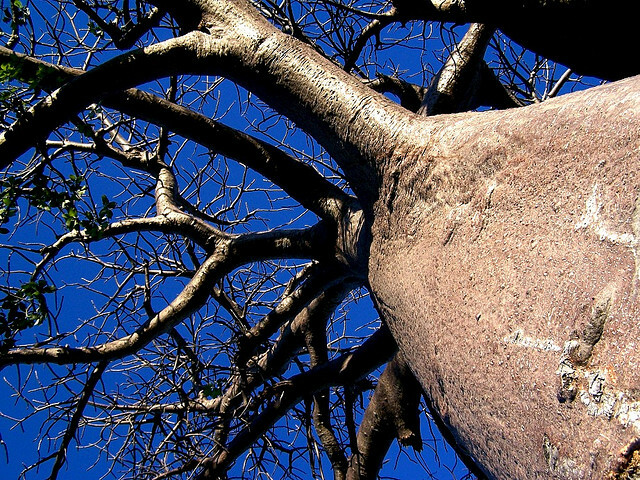 Closer to the Okavango Delta there can be found baobabs as well. In fact, a group of baobabs are known as Baines’ baobabs because of the 19th century explorer and cartographer, Thomas Baines. 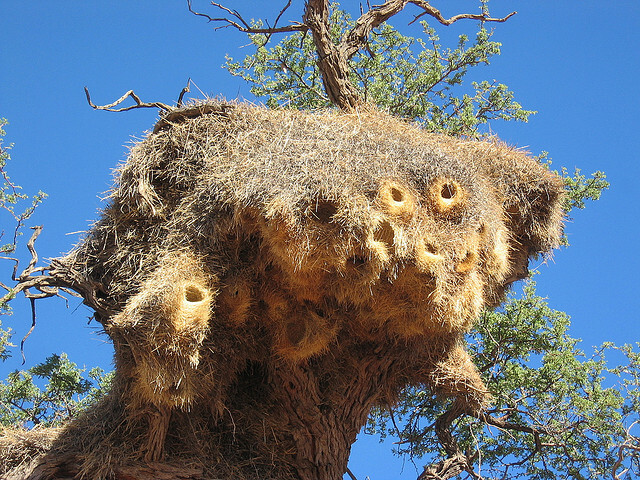 More pictures of Kalahari Desert Animals on the home page! 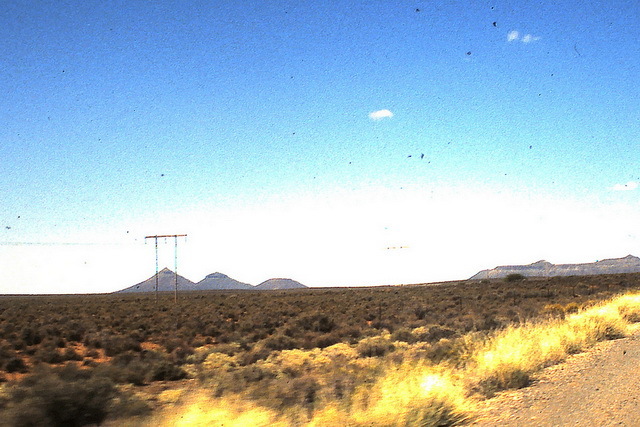 © Kalahari Desert - All rights reserved!